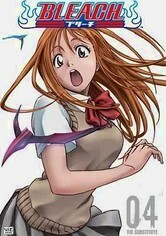 After wounded soul reaper Rukia Kuchiki gives teenage boy Ichigo Kurosaki the ability to see spirits, she's temporarily forced to live in an artificial human body. Now the two combine their supernatural superpowers to round up lost souls. This hit Japanese anime series based on the manga by Tite Kubo follows the adventures of spirit-seeing teen superhero Ichigo Kurosaki as he and his supernatural sidekick, Rukia Kuchiki, round up lost souls. Ichigo first inherits his powers from a wounded Rukia, who is in fact a shinigami, or soul reaper. 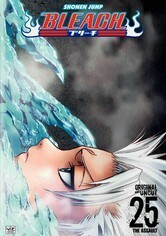 Forced to live temporarily in an artificial human body, Rukia must combine her otherworldly abilities with Ichigo's. Vol. 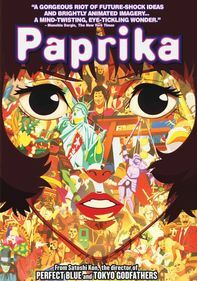 1 includes episodes 1-4. This hit Japanese anime series based on the manga by Tite Kubo follows the adventures of spirit-seeing teen superhero Ichigo Kurosaki as he and his supernatural sidekick, Rukia Kuchiki, round up lost souls. 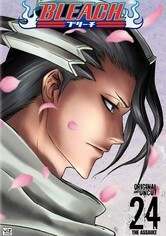 Ichigo first inherits his powers from a wounded Rukia, who is in fact a shinigami, or soul reaper. Forced to live temporarily in an artificial human body, Rukia must combine her otherworldly abilities with Ichigo's. Vol. 2 includes episodes 5-8. This hit Japanese anime series based on the manga by Tite Kubo follows the adventures of spirit-seeing teen superhero Ichigo Kurosaki as he and his supernatural sidekick, Rukia Kuchiki, round up lost souls. Ichigo first inherits his powers from a wounded Rukia, who is in fact a shinigami, or soul reaper. Forced to live temporarily in an artificial human body, Rukia must combine her otherworldly abilities with Ichigo's. Vol. 3 includes episodes 9-12. This hit Japanese anime series based on the manga by Tite Kubo follows the adventures of spirit-seeing teen superhero Ichigo Kurosaki as he and his supernatural sidekick, Rukia Kuchiki, round up lost souls. Ichigo first inherits his powers from a wounded Rukia, who is in fact a shinigami, or soul reaper. Forced to live temporarily in an artificial human body, Rukia must combine her otherworldly abilities with Ichigo's. Vol. 4 includes episodes 13-16. This hit Japanese anime series based on the manga by Tite Kubo follows the adventures of spirit-seeing teen superhero Ichigo Kurosaki as he and his supernatural sidekick, Rukia Kuchiki, round up lost souls. Ichigo first inherits his powers from a wounded Rukia, who is in fact a shinigami, or soul reaper. Forced to live temporarily in an artificial human body, Rukia must combine her otherworldly abilities with Ichigo's. Vol. 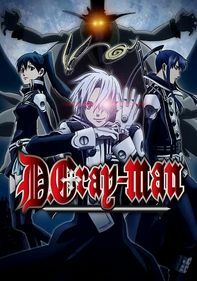 5 includes episodes 17-20. 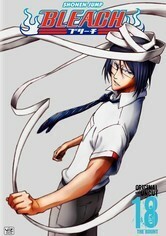 This hit Japanese anime series based on the manga by Tite Kubo follows the adventures of spirit-seeing teen superhero Ichigo Kurosaki as he and his supernatural sidekick, Rukia Kuchiki, round up lost souls. 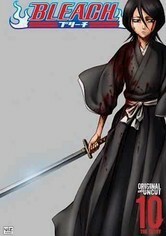 Ichigo first inherits his powers from a wounded Rukia, who is in fact a shinigami, or soul reaper. 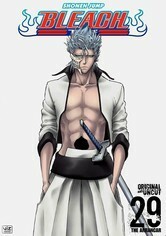 Forced to live temporarily in an artificial human body, Rukia must combine her otherworldly abilities with Ichigo's. Vol. 8 includes episodes 29-32. This hit Japanese anime series based on the manga by Tite Kubo follows the adventures of spirit-seeing teen superhero Ichigo Kurosaki as he and his supernatural sidekick, Rukia Kuchiki, round up lost souls. 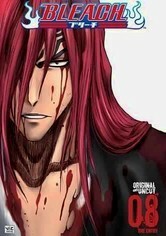 Ichigo first inherits his powers from a wounded Rukia, who is in fact a shinigami, or soul reaper. Forced to live temporarily in an artificial human body, Rukia must combine her otherworldly abilities with Ichigo's. Vol. 10 includes episodes 37-41. This hit Japanese anime series based on the manga by Tite Kubo follows the adventures of spirit-seeing teen superhero Ichigo Kurosaki as he and his supernatural sidekick, Rukia Kuchiki, round up lost souls. 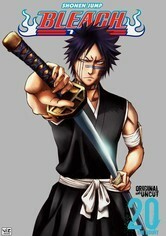 Ichigo first inherits his powers from a wounded Rukia, who is in fact a shinigami, or soul reaper. Forced to live temporarily in an artificial human body, Rukia must combine her otherworldly abilities with Ichigo's. Vol. 11 includes episodes 42-45. This hit Japanese anime series based on the manga by Tite Kubo follows the adventures of spirit-seeing teen superhero Ichigo Kurosaki as he and his supernatural sidekick, Rukia Kuchiki, round up lost souls. 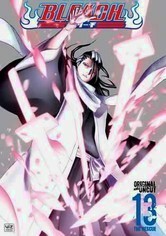 Ichigo first inherits his powers from a wounded Rukia, who is in fact a shinigami, or soul reaper. Forced to live temporarily in an artificial human body, Rukia must combine her otherworldly abilities with Ichigo's. Vol. 12 includes episodes 46-49. This hit Japanese anime series based on the manga by Tite Kubo follows the adventures of spirit-seeing teen superhero Ichigo Kurosaki as he and his supernatural sidekick, Rukia Kuchiki, round up lost souls. Ichigo first inherits his powers from a wounded Rukia, who is in fact a shinigami, or soul reaper. Forced to live temporarily in an artificial human body, Rukia must combine her otherworldly abilities with Ichigo's. Vol. 13 includes episodes 50-53. This hit Japanese anime series based on the manga by Tite Kubo follows the adventures of spirit-seeing teen superhero Ichigo Kurosaki as he and his supernatural sidekick, Rukia Kuchiki, round up lost souls. 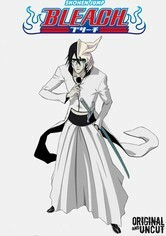 Ichigo first inherits his powers from a wounded Rukia, who is in fact a shinigami, or soul reaper. 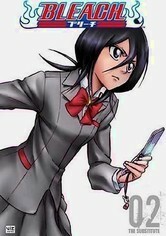 Forced to live temporarily in an artificial human body, Rukia must combine her otherworldly abilities with Ichigo's. Vol. 14 includes episodes 54-58. This hit Japanese anime series based on the manga by Tite Kubo follows the adventures of spirit-seeing teen superhero Ichigo Kurosaki as he and his supernatural sidekick, Rukia Kuchiki, round up lost souls. 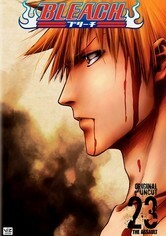 Ichigo first inherits his powers from a wounded Rukia, who is in fact a shinigami, or soul reaper. 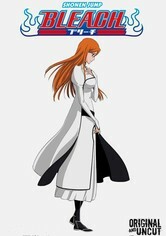 Forced to live temporarily in an artificial human body, Rukia must combine her otherworldly abilities with Ichigo's. Vol. 15 includes episodes 59-63. This hit Japanese anime series based on the manga by Tite Kubo follows the adventures of spirit-seeing teen superhero Ichigo Kurosaki as he and his supernatural sidekick, Rukia Kuchiki, round up lost souls. 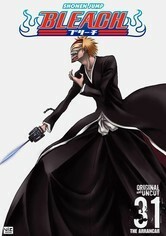 Ichigo first inherits his powers from a wounded Rukia, who is in fact a shinigami, or soul reaper. Forced to live temporarily in an artificial human body, Rukia must combine her otherworldly abilities with Ichigo's. Vol. 16 includes episodes 64-67. This hit Japanese anime series based on the manga by Tite Kubo follows the adventures of spirit-seeing teen superhero Ichigo Kurosaki as he and his supernatural sidekick, Rukia Kuchiki, round up lost souls. 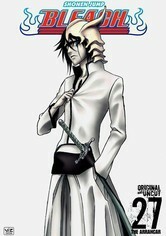 Ichigo first inherits his powers from a wounded Rukia, who is in fact a shinigami, or soul reaper. 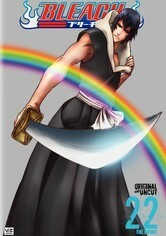 Forced to live temporarily in an artificial human body, Rukia must combine her otherworldly abilities with Ichigo's. Vol. 18 includes episodes 72-75. This hit Japanese anime series based on the manga by Tite Kubo follows the adventures of spirit-seeing teen superhero Ichigo Kurosaki as he and his supernatural sidekick, Rukia Kuchiki, round up lost souls. 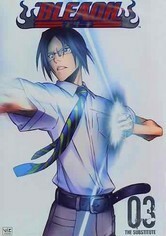 Ichigo first inherits his powers from a wounded Rukia, who is in fact a shinigami, or soul reaper. Forced to live temporarily in an artificial human body, Rukia must combine her otherworldly abilities with Ichigo's. Vol. 19 includes episodes 76-79. This hit Japanese anime series based on the manga by Tite Kubo follows the adventures of spirit-seeing teen superhero Ichigo Kurosaki as he and his supernatural sidekick, Rukia Kuchiki, round up lost souls. Ichigo first inherits his powers from a wounded Rukia, who is in fact a shinigami, or soul reaper. Forced to live temporarily in an artificial human body, Rukia must combine her otherworldly abilities with Ichigo's. Vol. 20 includes episodes 80-83. This hit Japanese anime series based on the manga by Tite Kubo follows the adventures of spirit-seeing teen superhero Ichigo Kurosaki as he and his supernatural sidekick, Rukia Kuchiki, round up lost souls. Ichigo first inherits his powers from a wounded Rukia, who is in fact a shinigami, or soul reaper. Forced to live temporarily in an artificial human body, Rukia must combine her otherworldly abilities with Ichigo's. Vol. 21 includes episodes 84-87. 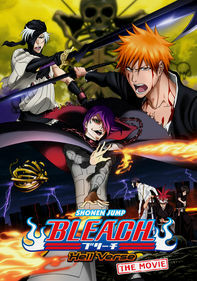 This hit Japanese anime series based on the manga by Tite Kubo follows the adventures of spirit-seeing teen superhero Ichigo Kurosaki as he and his supernatural sidekick, Rukia Kuchiki, round up lost souls. 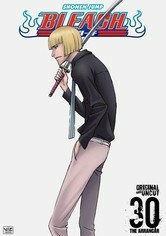 Ichigo first inherits his powers from a wounded Rukia, who is in fact a shinigami, or soul reaper. Forced to live temporarily in an artificial human body, Rukia must combine her otherworldly abilities with Ichigo's. Vol. 22 includes episodes 88-91. This hit Japanese anime series based on the manga by Tite Kubo follows the adventures of spirit-seeing teen superhero Ichigo Kurosaki as he and his supernatural sidekick, Rukia Kuchiki, round up lost souls. 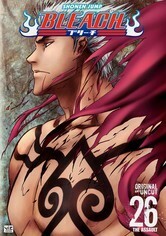 Ichigo first inherits his powers from a wounded Rukia, who's a shinigami, or soul reaper. Forced to live temporarily in an artificial human body, Rukia must combine her otherworldly abilities with Ichigo's. Included are episodes 92-95. This hit Japanese anime series based on the manga by Tite Kubo follows the adventures of spirit-seeing teen superhero Ichigo Kurosaki as he and his supernatural sidekick, Rukia Kuchiki, round up lost souls. 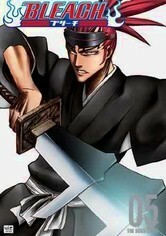 Ichigo first inherits his powers from a wounded Rukia, who is in fact a shinigami, or soul reaper. Forced to live temporarily in an artificial human body, Rukia must combine her otherworldly abilities with Ichigo's. Vol. 24 includes episodes 96-99. This hit Japanese anime series based on the manga by Tite Kubo follows the adventures of spirit-seeing teen superhero Ichigo Kurosaki as he and his supernatural sidekick, Rukia Kuchiki, round up lost souls. 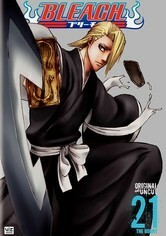 Ichigo first inherits his powers from a wounded Rukia, who is in fact a shinigami, or soul reaper. 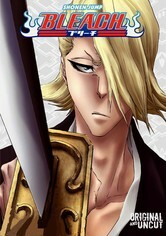 Forced to live temporarily in an artificial human body, Rukia must combine her otherworldly abilities with Ichigo's. Vol. 25 includes episodes 100-104. This hit Japanese anime series based on the manga by Tite Kubo follows the adventures of spirit-seeing teen superhero Ichigo Kurosaki as he and his supernatural sidekick, Rukia Kuchiki, round up lost souls. Ichigo first inherits his powers from a wounded Rukia, who is in fact a shinigami, or soul reaper. Forced to live temporarily in an artificial human body, Rukia must combine her otherworldly abilities with Ichigo's. Vol. 26 includes episodes 105-109. This hit Japanese anime series based on the manga by Tite Kubo follows the adventures of spirit-seeing teen superhero Ichigo Kurosaki as he and his supernatural sidekick, Rukia Kuchiki, round up lost souls. 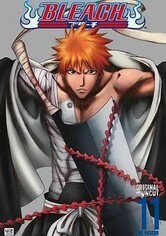 Ichigo first inherits his powers from a wounded Rukia, who is in fact a shinigami, or soul reaper. Forced to live temporarily in an artificial human body, Rukia must combine her otherworldly abilities with Ichigo's. Vol. 27 includes episodes 110-113. 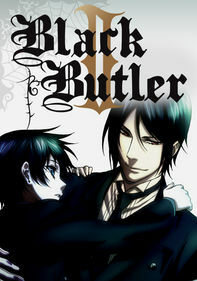 This hit Japanese anime series based on the manga by Tite Kubo follows the adventures of spirit-seeing teen superhero Ichigo Kurosaki as he and his supernatural sidekick, Rukia Kuchiki, round up lost souls. 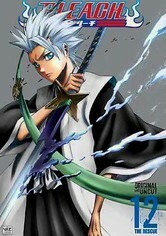 Ichigo first inherits his powers from a wounded Rukia, who is in fact a shinigami, or soul reaper. Forced to live temporarily in an artificial human body, Rukia must combine her otherworldly abilities with Ichigo's. Vol. 28 includes episodes 114-117. This hit Japanese anime series based on the manga by Tite Kubo follows the adventures of spirit-seeing teen superhero Ichigo Kurosaki as he and his supernatural sidekick, Rukia Kuchiki, round up lost souls. Ichigo first inherits his powers from a wounded Rukia, who is in fact a shinigami, or soul reaper. Forced to live temporarily in an artificial human body, Rukia must combine her otherworldly abilities with Ichigo's. Vol. 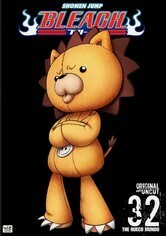 29 includes episodes 118-121. This hit Japanese anime series based on the manga by Tite Kubo follows the adventures of spirit-seeing teen superhero Ichigo Kurosaki as he and his supernatural sidekick, Rukia Kuchiki, round up lost souls. 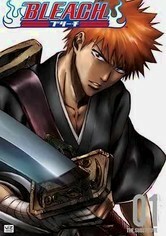 Ichigo first inherits his powers from a wounded Rukia, who is in fact a shinigami, or soul reaper. 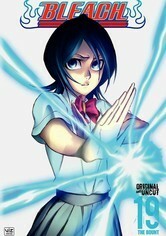 Forced to live temporarily in an artificial human body, Rukia must combine her otherworldly abilities with Ichigo's. Vol. 30 includes episodes 122-126. This hit Japanese anime series based on the manga by Tite Kubo follows the adventures of spirit-seeing teen superhero Ichigo Kurosaki as he and his supernatural sidekick, Rukia Kuchiki, round up lost souls. 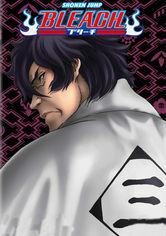 Ichigo first inherits his powers from a wounded Rukia, who is in fact a shinigami, or soul reaper. 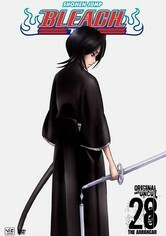 Forced to live temporarily in an artificial human body, Rukia must combine her otherworldly abilities with Ichigo's. Vol. 31 includes episodes 127-131. 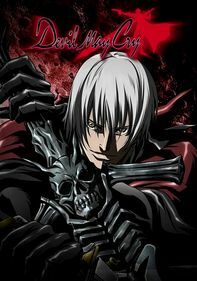 Follow the action-packed adventures of teenage Soul Reaper Ichigo as he continues to hone his supernatural fighting skills, battles an assortment of malevolent spirits called hollows and travels to their desert-like world, known as Hueco Mundo. 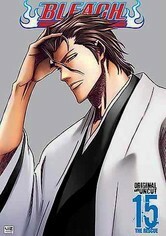 Meanwhile, nefarious mastermind Aizen engineers schemes involving thefts, staged deaths and other forms of trickery designed to weaken his enemies and enhance his powers. Vol. 32 includes episodes 132-135. This hit Japanese anime series based on the manga by Tite Kubo follows the adventures of spirit-seeing teen superhero Ichigo Kurosaki as he and his supernatural sidekick, Rukia Kuchiki, round up lost souls. Vol. 33 includes episodes 134-137. This hit Japanese anime series based on the manga by Tite Kubo follows the adventures of spirit-seeing teen superhero Ichigo Kurosaki as he and his supernatural sidekick, Rukia Kuchiki, round up lost souls. Vol. 34 includes episodes 138-141. 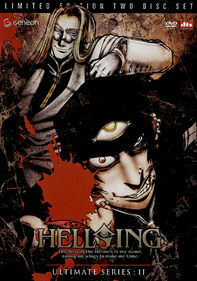 This hit Japanese anime series based on the manga by Tite Kubo follows the adventures of spirit-seeing teen superhero Ichigo Kurosaki as he and his supernatural sidekick, Rukia Kuchiki, round up lost souls. Vol. 35 includes episodes 142-145. 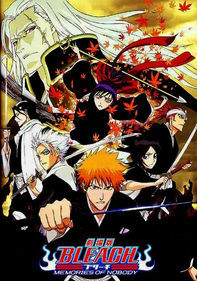 This hit Japanese anime series based on the manga by Tite Kubo follows the adventures of spirit-seeing teen superhero Ichigo Kurosaki as he and his supernatural sidekick, Rukia Kuchiki, round up lost souls. Vol. 36 includes episodes 146-149. This hit Japanese anime series based on the manga by Tite Kubo follows the adventures of spirit-seeing teen superhero Ichigo Kurosaki as he and his supernatural sidekick, Rukia Kuchiki, round up lost souls. Vol. 37 includes episodes 150-153. This hit Japanese anime series based on the manga by Tite Kubo follows the adventures of spirit-seeing teen superhero Ichigo Kurosaki as he and his supernatural sidekick, Rukia Kuchiki, round up lost souls. Vol. 38 includes episodes 154-156. This hit Japanese anime series based on the manga by Tite Kubo follows the adventures of spirit-seeing teen superhero Ichigo Kurosaki as he and his supernatural sidekick, Rukia Kuchiki, round up lost souls. Vol. 39 includes episodes 157-160. This hit Japanese anime series based on the manga by Tite Kubo follows the adventures of spirit-seeing teen superhero Ichigo Kurosaki as he and his supernatural sidekick, Rukia Kuchiki, round up lost souls. Vol. 40 includes episodes 161-164. This hit Japanese anime series based on the manga by Tite Kubo follows the adventures of spirit-seeing teen superhero Ichigo Kurosaki as he and his supernatural sidekick, Rukia Kuchiki, round up lost souls. Vol. 41 includes episodes 165-167. This hit Japanese anime series based on the manga by Tite Kubo follows the adventures of spirit-seeing teen superhero Ichigo Kurosaki as he and his supernatural sidekick, Rukia Kuchiki, round up lost souls. Vol. 42 includes episodes 168-171. This hit Japanese anime series based on the manga by Tite Kubo follows the adventures of spirit-seeing teen superhero Ichigo Kurosaki as he and his supernatural sidekick, Rukia Kuchiki, round up lost souls. Vol. 43 includes episodes 172-175. This hit Japanese anime series based on the manga by Tite Kubo follows the adventures of spirit-seeing teen superhero Ichigo Kurosaki as he and his supernatural sidekick, Rukia Kuchiki, round up lost souls. Vol. 44 includes episodes 176-179. This hit Japanese anime series based on the manga by Tite Kubo follows the adventures of spirit-seeing teen superhero Ichigo Kurosaki as he and his supernatural sidekick, Rukia Kuchiki, round up lost souls. Vol. 45 includes episodes 180-183. This hit Japanese anime series based on the manga by Tite Kubo follows the adventures of spirit-seeing teen superhero Ichigo Kurosaki as he and his supernatural sidekick, Rukia Kuchiki, round up lost souls. Vol. 46 includes episodes 184-188. This hit Japanese anime series based on the manga by Tite Kubo follows the adventures of spirit-seeing teen superhero Ichigo Kurosaki as he and his supernatural sidekick, Rukia Kuchiki, round up lost souls. Vol. 47 includes episodes 189-193. This hit Japanese anime series based on the manga by Tite Kubo follows the adventures of spirit-seeing teen superhero Ichigo Kurosaki as he and his supernatural sidekick, Rukia Kuchiki, round up lost souls. Vol. 48 includes episodes 194-197. 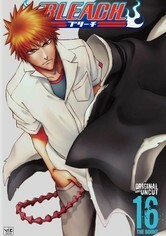 This hit Japanese anime series based on the manga by Tite Kubo follows the adventures of spirit-seeing teen superhero Ichigo Kurosaki as he and his supernatural sidekick, Rukia Kuchiki, round up lost souls.Vol. 48 includes episodes 198-201. 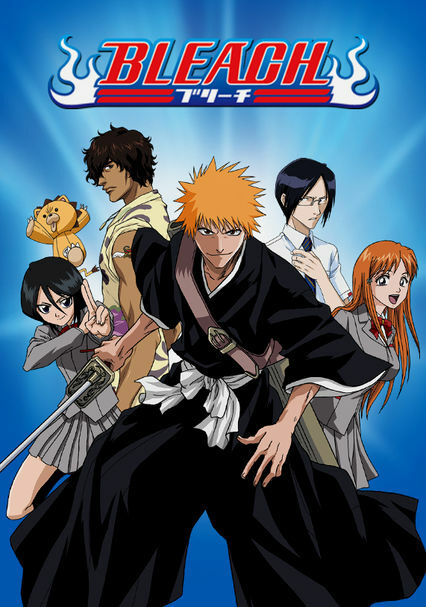 This hit Japanese anime series based on the manga by Tite Kubo follows the adventures of spirit-seeing teen superhero Ichigo Kurosaki as he and his supernatural sidekick, Rukia Kuchiki, round up lost souls. Vol. 50 includes episodes 202-205.